England has been the host to a dizzying array of minerals for hundreds of years, and in that time has produced hundreds of choice specimens of many different varieties. Many of these locations have long been closed and abandoned, but a few luckily remain. 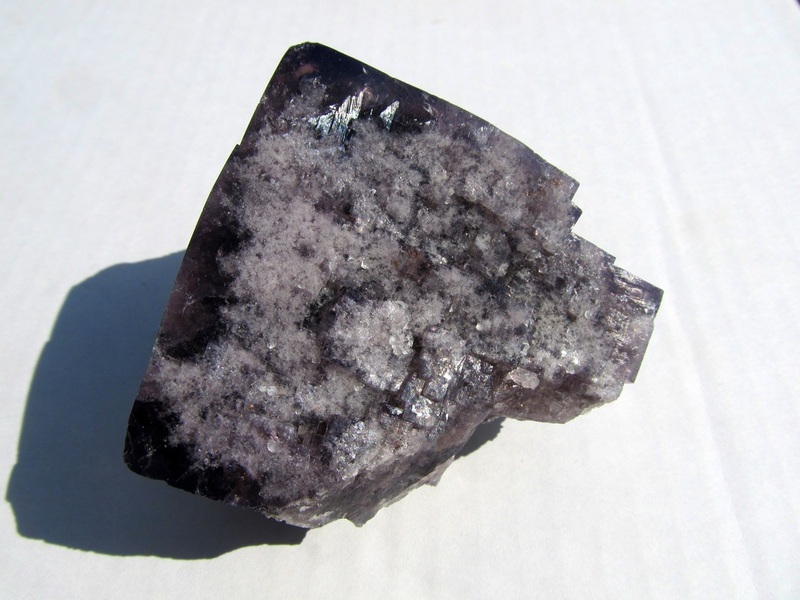 Perhaps the most sought after, as well as most available mineral from England in this day and age is Fluorite. 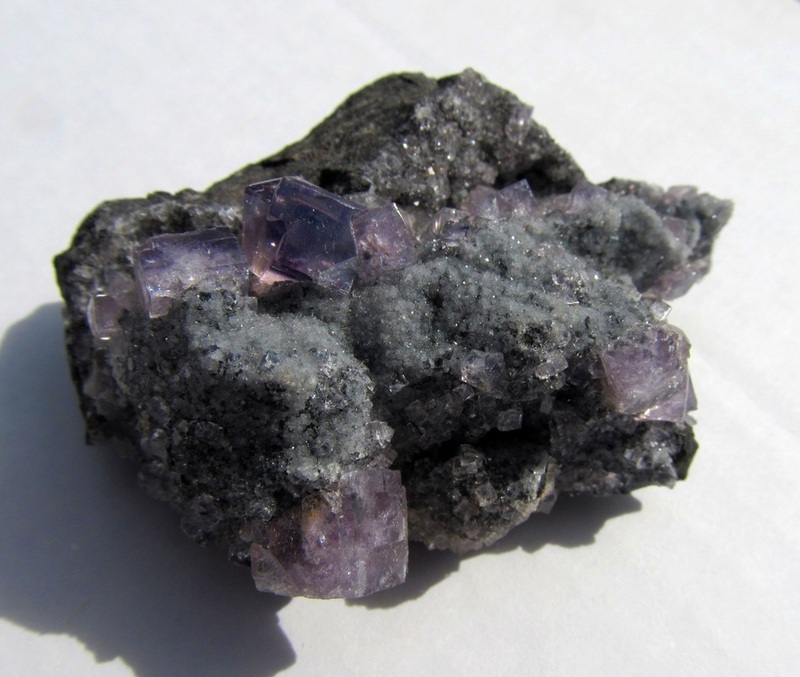 There are many different mines and quarries which have given up great fluorite specimens in England, and below are several examples. First of which is the Frazers Hush Mine. This mine produced plenty of nice specimens during it's operating life, which lasted roughly from the early 1970's until it was closed in 1999. 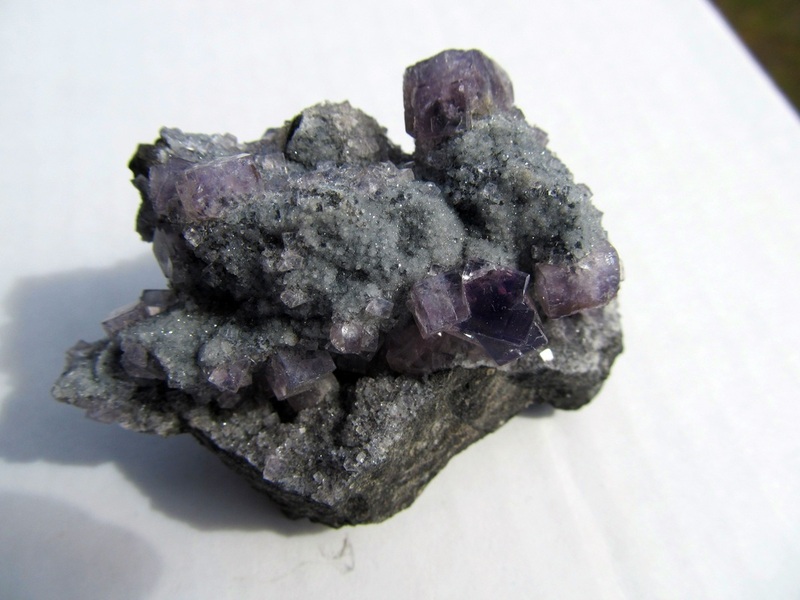 The fluorites from there are commonly twinned and are nice and glassy. Clicking on the following link will take you to the page for the Frazers Hush Mine on Mindat.org, where you can read more about the mine as well as see some photos of the site and specimens it has produced. Available specimens are below the link. 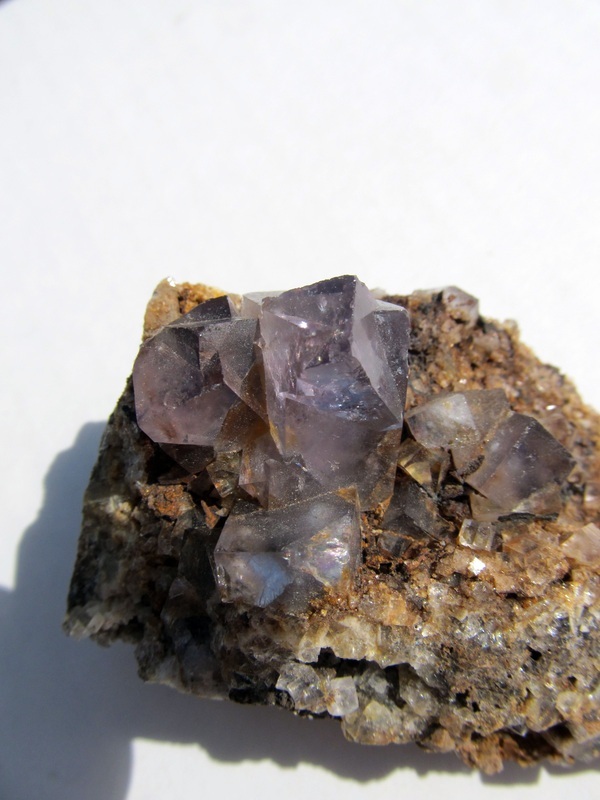 This dandy little bit features several larger, well formed and twinned Fluorite crystals perched aesthetically on their matrix. 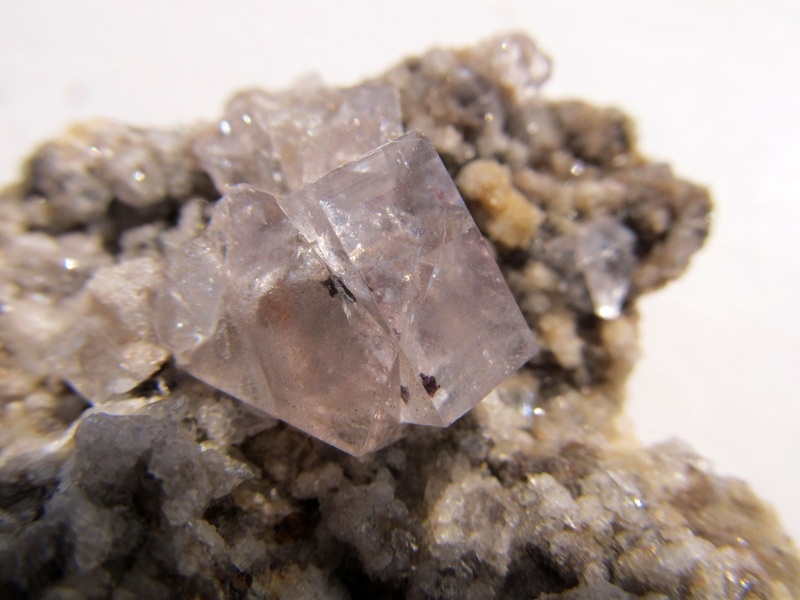 Smaller crystals fill in the voids between the larger crystals but don't have much color compared to their larger mates. 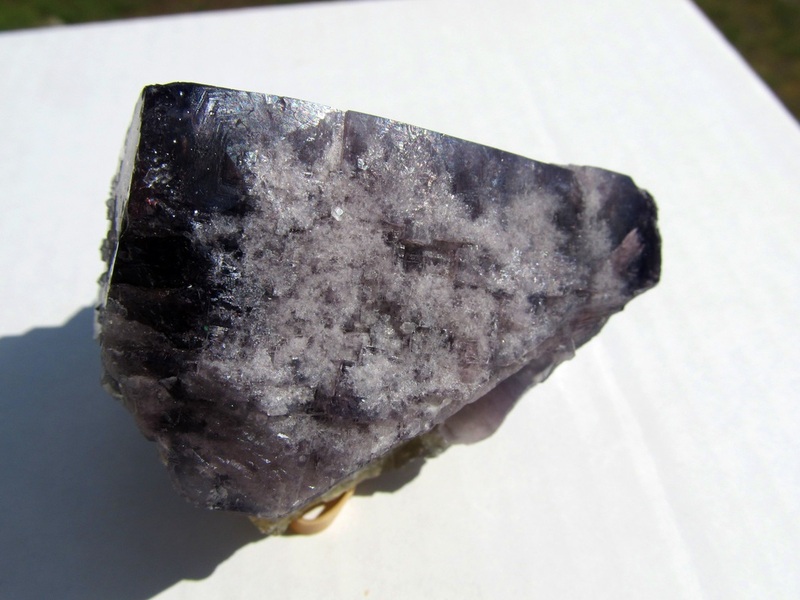 The crystals are quite gemmy and lustrous. There are a few very slight dings along a few edges but they hold their aesthetics well. The largest crystal measures approx. 15mm on edge. These exhibit great fluorescent properties. This piece was part of the University of Oregon collection for about 15 years, and was donated to the university by Dr. Rob Lavinsky! Material from this location is becoming quite difficult to obtain and many pieces have been lost to the ravages of time. Specimen measures approx. 6.5 x 4 x 3.7 cm. One look at this specimen and the general conclusions is it absolutely sparkles! 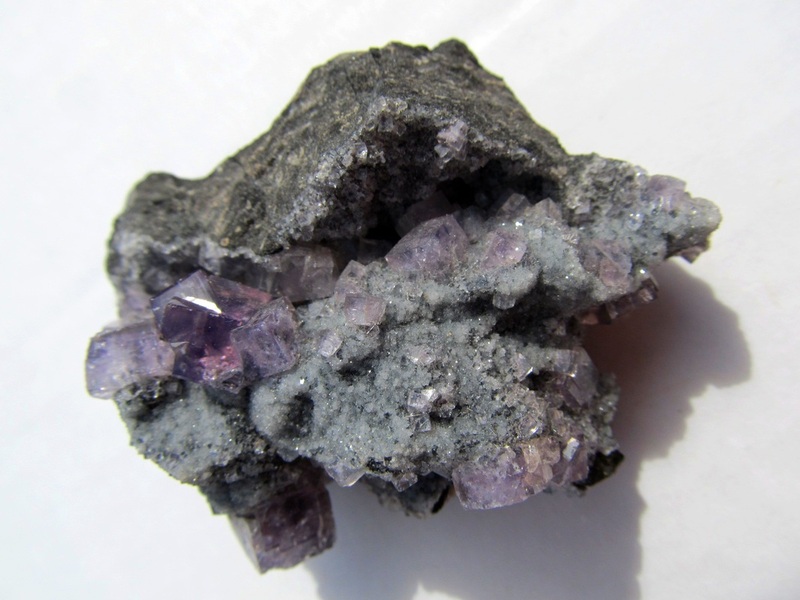 The matrix has become host to several groupings of twinned Fluorite crystals which were followed by a wide covering of druzy Quartz! 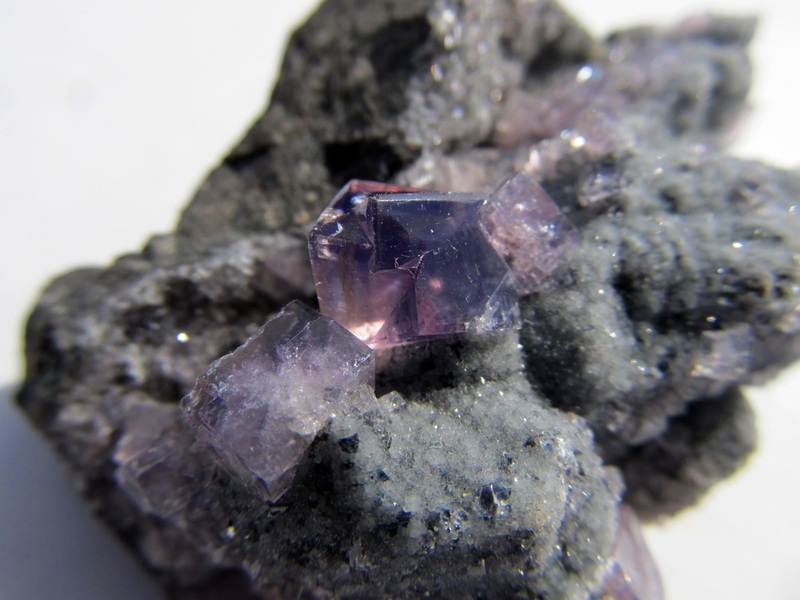 The larger Fluorite crystals have not taken on any secondary mineralization, making them stand out above the layer of smaller crystals. This specimen displays quite well aside from its minor imperfections. This is one of the most showy Frazer's Hush specimens I received. This piece was also from the lot donated to the University of Oregon by Rob Lavinsky about 15 years ago. This specimen measures approx. 5.5 x 4.5 x 2.5 cm. This is another piece that absolutely sparkles in the light! 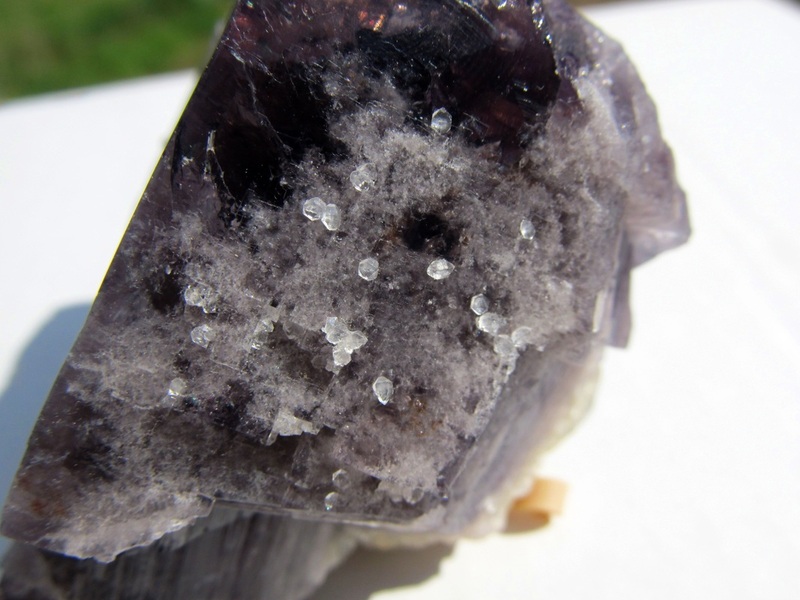 The matrix is host to a solid coating of tiny druzy Quartz with clear and lavender Fluorite crystals. Some twinning evident. This piece displays exceptionally well and has excellent depth. This material is all highly fluorescent under UV excitation. This was also exhumed from the depths of the University of Oregon collection, previously donated by Dr. Rob Lavinsky. Measures approx. 6.5 x 5 x 3 cm. Some slight dings but still displays well. 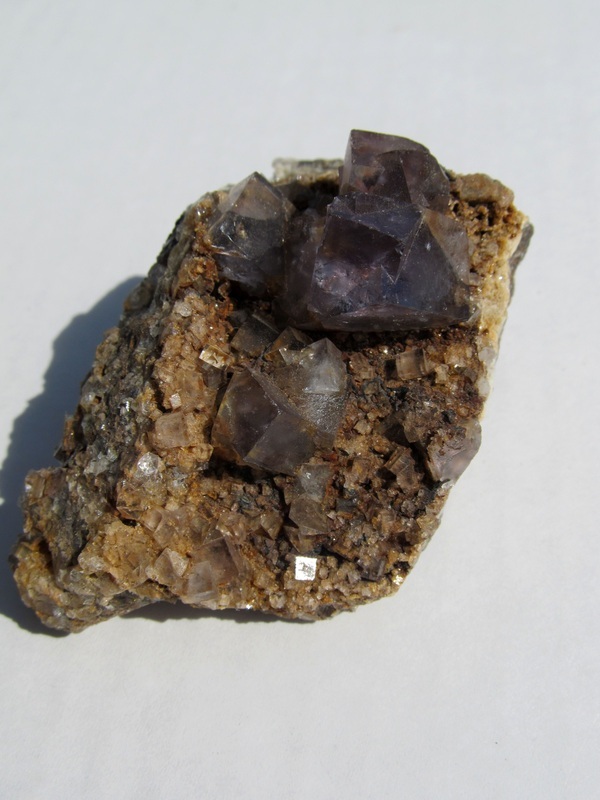 Next up we have what is perhaps England's most famous, and still currently producing fluorite locality, the Rogerley Mine. Located in the historic Weardale Mining District, this mine is currently being worked by the folks at UK Mining Ventures, and is producing some simply outstanding specimens. 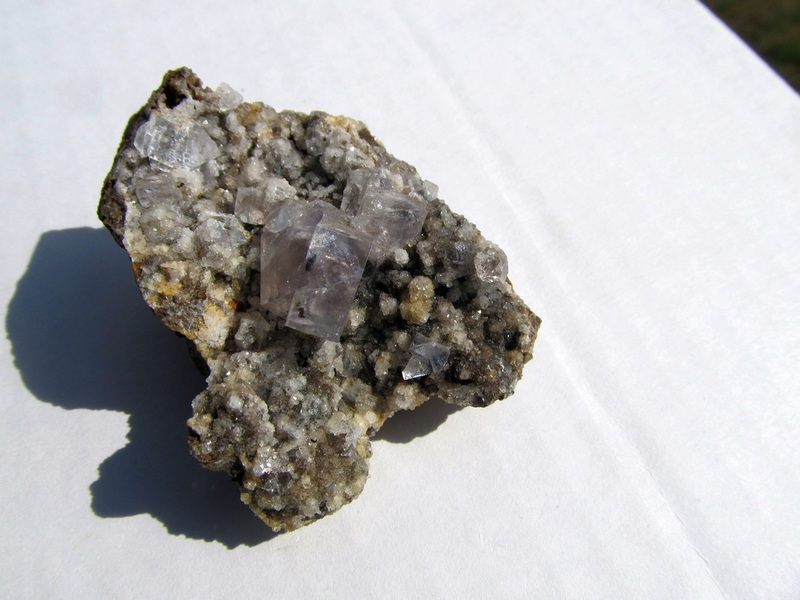 The fluorites from the Rogerley Mine are typically a green/blue color when viewed in natural light, and appear a dark green when viewed under artificial indoor lighting. 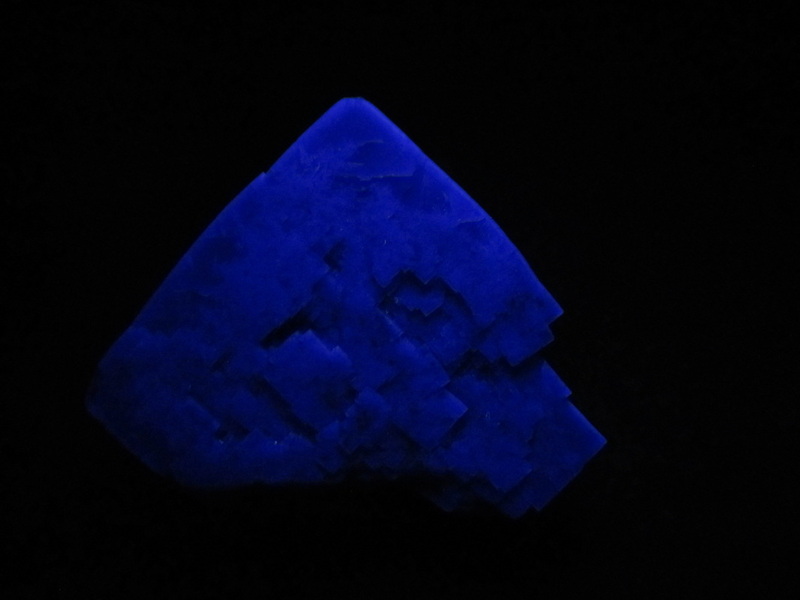 They are typically very fluorescent and are found associated with other minerals such as quartz, galena, and calcite. 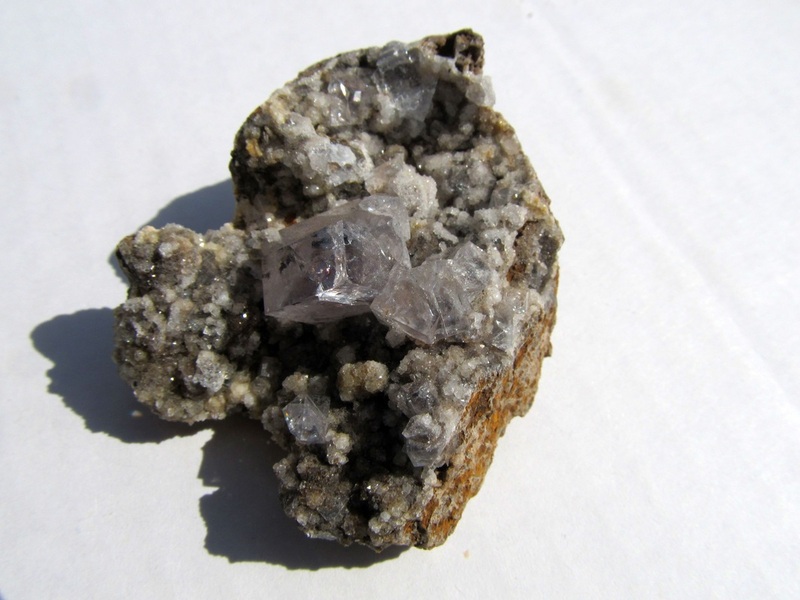 The first of the following links will take you to a page where you can download a free copy of Minerals, The Collectors Newspaper, issue #2 published by Spirifer Minerals. Issue #2 includes an article of the history of the Rogerley Mine. 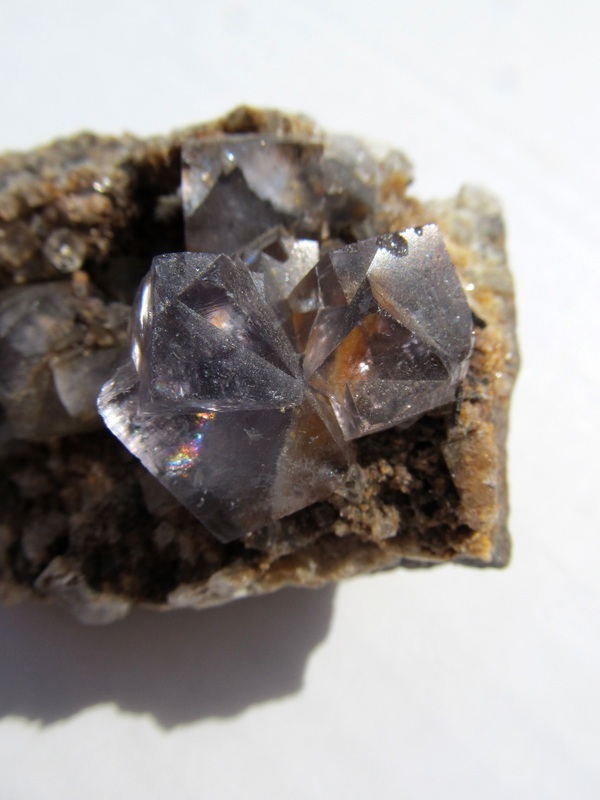 The second link will take you to the Rogerley Mine page on Mindat.org where you can view photos of the mine and the specimens it has produced. A HUMONGOUS single crystal with stepped faces. 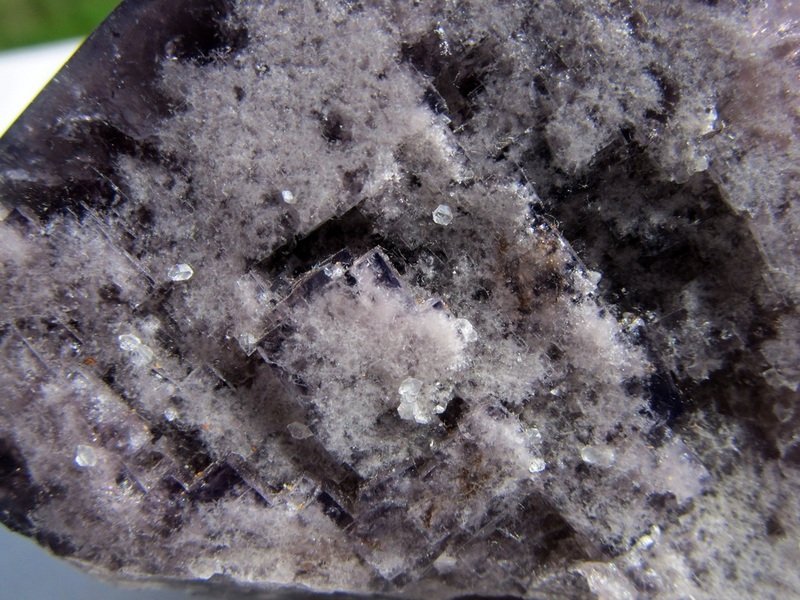 More purple in color and a few tiny little quartz crystals here or there. Yellow color in the bottom core area. Has a few dings/damages but is quite the breathtaking Rogerley specimen! Measures in about 6.9 x 6.4 x 5 cm.